PK's record-breaking domestic performance pushes another Khan Christmas release, the 2013 actioner Dhoom 3, into second place on the country's list of all-time top-grossing movies. Dhoom 3 earned $44.9 million in India; however, its total worldwide take is estimated at about $85 million, meaning it still has the crown as the highest-grossing Bollywood movie worldwide. PK should clear Dhoom 3's international take after a stellar early performance overseas. The film has become the highest-grossing Indian film in North America, collecting $9.15 million as of the end of its second week in theaters. It is also the highest-grossing Indian film ever in Australia, with $1.9 million. PK's international take is $23 million so far, giving it a total domestic and international box office of $72 million. “PK is a delightful movie with an important message, and we are glad that audiences across the world have embraced our film in the way they have, ” said Amrita Pandey, Disney India vp and head of studios marketing and distribution. PK tells the story of an alien (Khan) who lands in India and ends up questioning religious dogma and traditions. 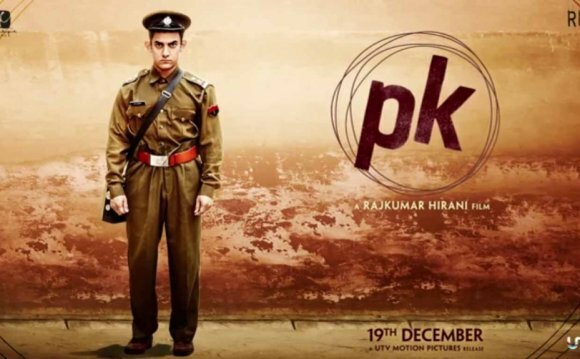 Given the film's sensitive theme, some religious groups protested against PK and even vandalized some cinemas, filing court petitions demanding a ban. But India's Supreme Court overruled them, because the film was cleared by the country's censor board.